In just thirty-two years, Isobel has known both the heights and highs of greatness and the deep depths of despair of depression. As a child and teenager, Isobel achieved the pinnacle of success, she was known far and wide as a prodigy. Unfortunately, what goes up must come down, and Isobel’s fall from grace was both devastating and never-ending. In a last-ditch effort to turn it all around, Isobel slipped the chains of her keepers and reserved a cottage for the summer at Joy’s Acre. Isobel’s first weeks at Joy’s Acre are not at all what she had hoped they would be. With nothing familiar and nothing to distract her, Isobel planned to pound out a new composition for violin that will astound all and resurrect her reputation. As it happens, there is much to distract at Joy’s Acre; among the distractions are the kindness of the employees, the breathtaking scenery, the hot thatcher, and the demons of her past. Isobel is nothing if not a professional and as she attempts to work despite the distractions, she finds herself falling further and further and beyond and becoming evermore frustrated with her attempts. Tom long ago came to terms with his reputation as the love ‘em and leave ‘em type. However, of late, Tom has begun to rethink his life, its direction, and how he can finally put down the demons of his own past. When Isobel arrives at Joy’s Acre, she is certainly a sight, but it is her brilliant talent that truly peaks Tom’s interest. Though she has no idea he can hear her playing, he often indulges in her music rather than working. Though Tom isn’t certain he’s ready for a proper relationship, he is intrigued by Isobel and would relish the opportunity to know her just a bit better. While Tom is a generally affable character, Isobel is a bit prickly which makes their early encounters awkward and uncomfortable. It isn’t until Isobel begins to acknowledge her own issues, see them for what they are, and settle on dealing with those issues that she is able to come out her shell and properly interact with Tom. Each interaction not only allows Tom to talk about some of his own issues, but to help Isobel get a handle on her own. What’s more, Tom, also a musician introduces Isobel to a far more relaxed world of music, a place where people play for the pure pleasure of the music, to entertain, and to connect with others through their gift. For the first time in her life, Isobel begins to understand the healing power of music, how her talents can impact others, and how she can a life with music that isn’t also filled with hurt, anger, and the fear of ruin. The Bottom Line: I am loving the progression of this series and there is absolutely no sophomore slump to found in this addition to the series! For myself, this book really revolved around Isobel and the experiences she has had over the course of her life. She is well and truly broken when she arrives at Joy’s Acre, but after her summer she is well on the road to recovery and true happiness. While Tom is certainly responsible for some of Isobel’s breakthroughs and happiness, he isn’t solely responsible, and I particularly loved this aspect of the book. Once Isobel comes to terms with her past, she able to take control of her present and her future. Of the two, Isobel shows the most growth and it was a pleasure to watch her heal and become who she was surely meant to be from a very early age. As you know, dear reader, I also very much adore the reappearance of characters from books past, and I got so much of that in this read. In fact, I don’t feel there will be a book in this series that won’t have the full cast as the cast is an absolutely inseparable part of the location. As it stands, I should continue to quite like this series for the foreseeable future. 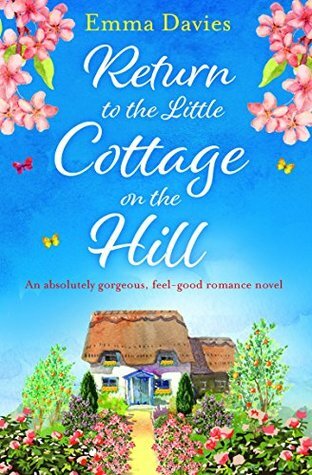 It has been a difficult few years for thirty-year-old Megan Forrester, completing her apprenticeship and trying to maintain a long-distance relationship with her gorgeous boyfriend, Liam. She’s returned home to compete in a local craft competition. The prize is the chance to design beautiful new gates for the estate at the bottom of the hill, a job which could secure her future in the village forever. As the contest gets underway, Megan is devastated when a rival design turns out to be almost identical to hers. Someone in the close-knit community must have leaked her sketches, but who? Is it the same person spreading heartbreaking rumours about Liam? Down to the last few left in the competition, Megan throws her heart and soul into a show-stopping final piece… but will winning even matter when the truth about Liam is finally revealed? Joy’s Acre is practically booming with two cottages open and ready for guests and the employees are more than excited to share their little slice of Heaven with anyone willing to make a reservation. While the group certainly hope their guests will come from far and wide, it isn’t everyday they get a local girl booked in for a visit. Megan Forrester is thrilled to be almost completely back home. Though she grew up in the area and has a long-term boyfriend, she doesn’t really have a place to live while she participates in the upcoming blacksmith competition. Joy’s Acre is really the perfect choice for Megan as it is within spitting distance of the competition site, has full service at every level, and gives her easy access to her boyfriend during her downtime. Megan is hoping the generally cheerful atmosphere of Joy’s Acre will calm her nerves as she embarks on the most important event of her life. If Megan can win the blacksmith competition, the prize money would allow her to move home permanently and open her own workshop. What’s more, the win would firmly establish her as legitimate blacksmith. As the blacksmith competition heats up, things at Joy’s Acre aren’t exactly as smooth and happy as they normally are. As their reputation grows, Joy’s Acre is presented with opportunities they never thought possible. One of those opportunities involves a film crew, a ton of planning, one very excited Trixie, and one very reluctant Clara. The opportunity is an amazing one for Joy’s Acre, but as plans progress the new project begins to tear apart the once solid team of employees. What’s more, the team from Joy’s Acre has been pulled into the organizing, serving, and generally lending a helping hand at the blacksmith competition. With the new opportunity, the extra work brought on by the competition, general stress, and a significant issue with Megan, Joy’s Acre is anything but joyful! The Bottom Line: As much as I liked the first two books in this series, that like pales in comparison to how much I absolutely loved this book! I dove into this one and didn’t come up for air until the end. As with the second book, I found myself most interested in the women in this read, Megan and Clara. I like how unusual Megan is in her profession and how genuinely kind and caring Clara is. Though the storylines certainly overlap, Megan and Clara are very different people and I really felt like I was getting two stories for the price of one. Mind you, those very different women interact wonderfully, and their stories combine seamlessly to create a rather fine read. I found I was quite happy with the overall tone of this book; there is a great deal of tension, loads of bickering, and moments when you just aren’t sure it will all work out in the end. I LOVED THIS!! Life isn’t all cupcakes and unicorns, and though Joy’s Acre is very much meant to be a retreat, a haven for many, it is populated with real people living in the real world and that is certainly on display here. 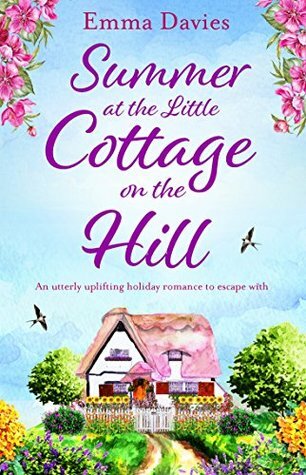 I found myself quite satisfied with every aspect of this book and can’t wait to dive into book four, Christmas at the Little Cottage on the Hill.